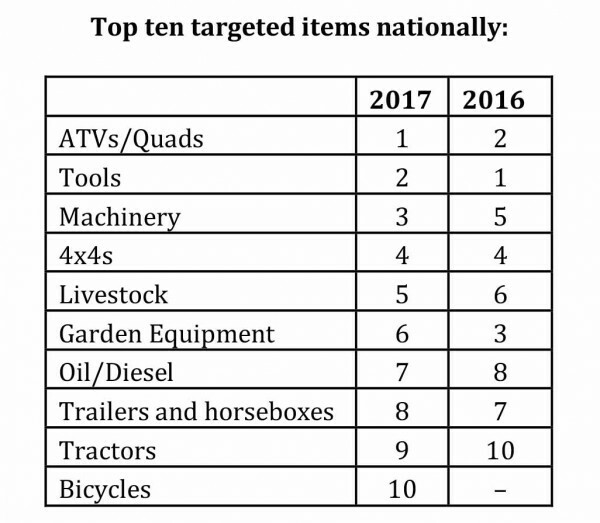 Farmers are combining medieval security with high-tech solutions to protect their farms from brazen criminals who are responsible for the highest level of rural crime for four years. In its 2018 Rural Crime Report, published today, leading rural insurer NFU Mutual looks at the impact that crime is having on rural communities up and down the UK. 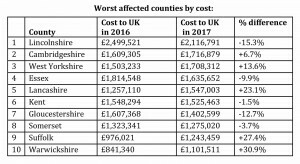 Overall, rural crime cost an estimated £44.5 million in 2017. With an increase of 13.4% on the previous year, it is rising at its fastest rate since 2010. 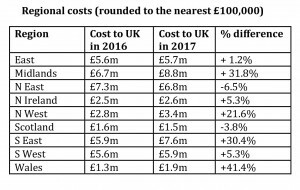 Across the UK, the cost of rural crime has risen most sharply in Wales, up 41% on the previous year, followed by the Midlands, which is up 32%, while the South East has seen a rise of 30%. 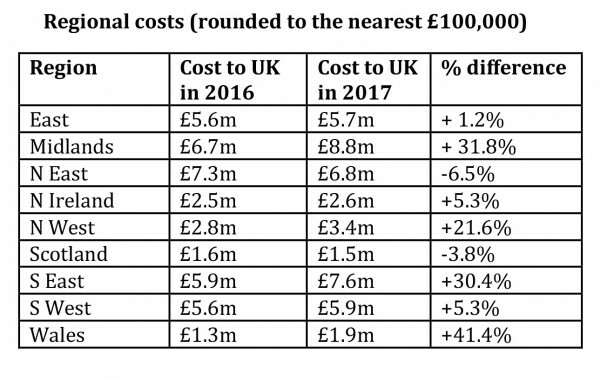 The cost of rural theft in Scotland has fallen 3.8%, while the North East is the only English region showing a fall, down 6.5%. 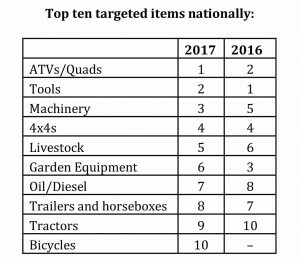 The report reveals that farmers are putting up earth banks, dry ditches, stockade fences and high-security single access points to fortify their farms against criminals who use 4×4 vehicles to get onto farm land to commit crimes and evade police. Protective animals such as geese, llamas, and dogs are being used to provide a useful low-tech alarm system, much as they did hundreds of years ago. The report has also found that limited police resources and repeat attacks are the biggest fears for people in rural communities, with many forced to change the way they live and work as a result of rural crime. Mr Price added: “With police facing huge challenges – including budget cuts and extra workload – forces are finding it hard to resource rural policing and this may be one of the reasons for the rise in thefts we are seeing. 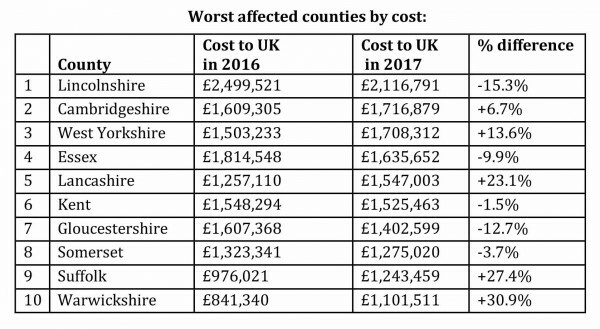 As the main insurer of the countryside, NFU Mutual said it has responded to its members’ concerns and has invested more than £1.2m to tackle the menace of rural crime. “The results of initiatives we support show clearly that when police, farmers and other rural organisations tackle rural crime in an organised way these schemes can be extremely effective,” said Mr Price. For more information and advice on how to beat rural crime in your area, download the report HERE.